Jonathan Kalan is an internationally published journalist, photojournalist and blogger specializing in social innovations in emerging markets. A graduate of the University of California, Santa Barbara, Jonathan has traveled to over 40 countries and worked with nonpro?ts, social enterprise start-ups, and media companies in a wide range of capacities – from business development to mobile technology and Corporate Social Responsibility. His work has appeared in BBC, The Financial Times, The Boston Globe, The Guardian, The Toronto Star, The Huffington Post, Global Post, The Star (Kenya), Stanford Social Innovation Review, Makeshift Magazine, GOOD.is, and The Christian Science Monitor among others. He is Nairobi’s Sandbox Co-Ambassador, and a Diageo Africa Business Reporting Awards 2011 Finalist. 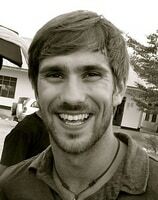 Before moving to Africa in 2010, Jonathan was managing the Mobile Fundraising and Corporate Social Responsibility initiatives for Causecast, where he launched the Cause Integration blog. What’s the secret to attracting 300 patients a month to a brand new, three-room health clinic in a sprawling industrial area? It might be the free manicure/pedicure women receiver after paying for a full “head-to-toe” checkup, but more likely, it’s the value of Penda. In Swahili, Penda means love, and that’s the key to Penda Health Clinics, a new chain of low-cost health facilities in Kenya that puts “care” at the center of their business model. Social Enterprising: DR Congo’s Untapped Resource? The Democratic Republic of the Congo (DRC) and the world of Social Entrepreneurship may seem strange bedfellows. One is constantly in the media for its good, the other for bad. One demonstrates economic empowerment, the other an absence thereof. But that’s not what I found on a recent trip there. As much as I can and often do criticize the Occupy Wall Street movement for its lack of focus, direction, and tangible outcomes - there is something about it that makes me extremely hopeful. Capitalism is slowly undergoing a massive transformation, a call launched by Occupy, and answered by the Social Enterprise Movement. Eric Reynolds, founder of camping gear giant Marmot and Gore-Tex pioneer, has never shied from big ideas. His latest mission? Making Rwanda the world’s first "carbon-negative" country. His method? A biochar cookstove, a for-profit energy company, and 4 years of serious planning. After spending a few days with him, he may just be onto something big. Over the past ten years, a unique program has been brewing in the Rwandan coffee industry, relying on the international demand for high-quality, specialty coffee (not always "fair trade" certified), and helping increase the income of small coffee farmers in this rapidly growing country. Angelina Mwenzi is one of a few locals of Silanga Village, which is in the Kibera slums of Nairobi, empowered by Peepoople AB, a Swedish social enterprise that launched a pilot project in Silanga in October. She?s built her own small business out of The Peepoo, a personal, single use toilet that turns human waste into nutrient-rich fertilizer. Honey Care Africa has been providing small bee farmers such as Kenyan apiarist Joyce Kavinya Motunga, with opportunities that have the potential to greatly increase their income. Honey Care Africa partners with NGOs to distribute its "Business in a Beehive" package to farmers - providing them a guaranteed price and a stable market for their honey.